Amocat Cafe "Making of Trailer" Released on Volcano's Spew! 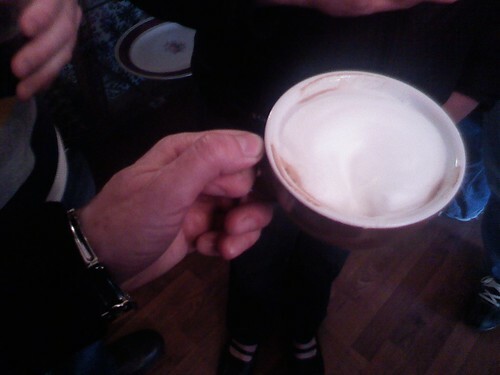 The Tacoma Urbanist, who drinks this cocktail, sent us a video of the making of the Amocat Cafe marketing trailer. Revealed in the video are the "drinks" that will be available at the new downtown Tacoma coffee house, which might open in a couple weeks - you know how those things go. The video shows the new paint inside one of the three rooms in Amocat - some walls are gold, others are red. You can also see Amocat owner Morgan Alexander ripping the paper away from the windows during the shot. 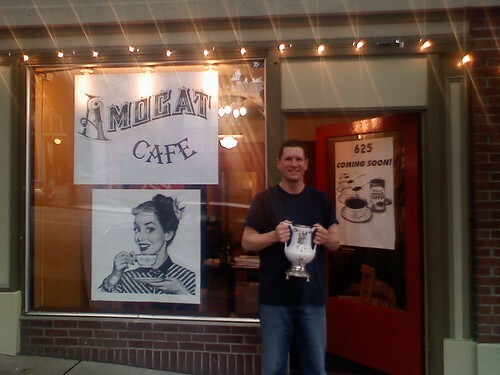 Amocat will be using "Go Local" products such as Valhalla Coffee, tea from Mad Hat and many other local products. However, they flew in New York City-based journalist Heather Robinson to star in this video. Can't wait till they open! by KevinFreitas on 5/21/2010 @ 7:34am I freakin' love these videos Erik! Cheers to Heather for being a good sport! Oh, and I totally can't wait to hang out at Amocat. BTW, it's it "Ah-mah-cat" or "Aeh-moh-cat"? by Erik on 5/21/2010 @ 10:57am Thanks Kevin. They are fun to make. I am still trying to get the trailer produced. Amocat should be open within the next couple weeks from what I hear. The rich red at Amocat turned out really well. 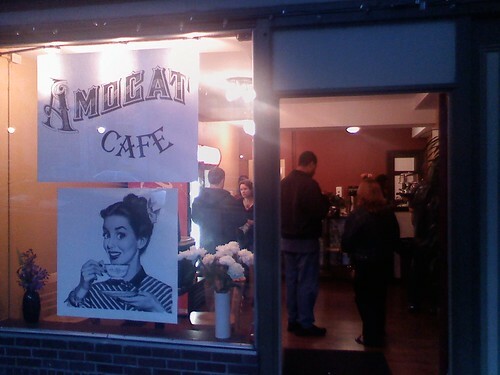 Come see the new Amocat Cafe! We'll have light eats and stuff to drink. "Better leave the kids at home" 9pm until ??? by Dave_L on 5/29/2010 @ 9:05pm Very nice gathering, and the joint looks great! Thanks for the hospitality, Morgan. Lots of good friends there, including some I hadn't seen in a while. And I met a few new ones, too. It was really cool for Robyn and Jason from the Villa Caffe & Imbibery to close their shop for a few hours, leave a sign on their door, hang out and help Morgan pull some coffee drinks. Did I understand correctly that the Amocat will be officially open on Tuesday? by morgan on 5/29/2010 @ 11:36pm Thanks all to who helped paint and prep and prepare for the party. That was fun! Why can't we do that every day? ! Yes, Dave - ready or not - Amocat opens next weekend Tuesday. Love the thumbs up from Stowe! Robyn made my machine rock like I don't know how! I have some catching up to do! yes, the Villa is a great addition to the Tacoma scene - more so now with the addition of "Mr. Tacoma" to their drink menu - YUM! by NineInchNachos on 5/30/2010 @ 12:01am can't wait to get juiced up there Morgan! 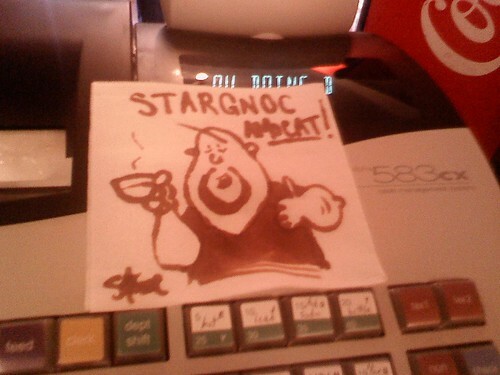 by L.S.Erhardt on 5/30/2010 @ 3:04pm Does Amocat have good Hot Chocolate? by morgan on 5/30/2010 @ 7:52pm Thanks RR! by fredo on 5/31/2010 @ 9:09am Happy to see another locally owned and operated business. Hope this turns out to be a successful venture. Thanks for bringing this story to our attention Erik.